NEXT UPS Systems Single Phase products come with a standard 3 year onsite warranty. NEXT UPS Systems Three Phase products come with a standard 2 year onsite warranty. 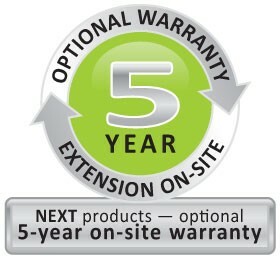 Optional Warranty extensions up to 5 years are available for every Single Phase model. If you have purchased a warranty extension, register it here ! Maximize your peace of mind and the reliability of your installations while dramatically increasing service continuity and uptime. For all Sinlge Phase products, NEXT UPS Systems offers you a full range of distributed Service Packs. The standard warranty on all Single Phase products is 36 months. During this 3 years period your Single Phase UPS is covered by a standard exchange in the best timing conditions (depending on location, this can be between 48 & 72 hours). Logistic costs for shipping back your old UPS and delivering the new one will be covered by NEXT UPS Systems. You will take advantage of a professional help-line who will grant you support thanks to the intervention of NEXT UPS Systems professionals. With the ready-to-use Service Pack (NEXT5+ Warranty Extension), you receive solutions that are customized and adapted to your needs. Every Service Pack provides you with the best service levels adapted to your needs. This warranty extension takes your Single Phase UPS standard warranty to 60 months when standard warranty grants 36 months coverage. During this 5 year period your product is covered by a standard exchange in a timely manner. This offer covers both electronic parts and batteries. Logistic costs for shipping back your faulty product and delivering the new one will be covered by NEXT UPS Systems.